OnePlus One has received a new Cyanogen OS 12.0 incremental update to fix touchscreen sensitivity issues, as the company promised last month. The company already said that it has been working with Synaptics, developer of touch and biometrics hardware to fix the bug. The build YNG1TAS2I3 also fixes Bluetooth connectivity when connecting to in-car system and issues in sending MMS. OnePlus rolled out Cyanogen OS 12 update based on Android 5.0.2 (Lollipop) in April. Later a new YNG1TAS17L build rolled out to add Ok OnePlus feature along with improvements and security enhancements. 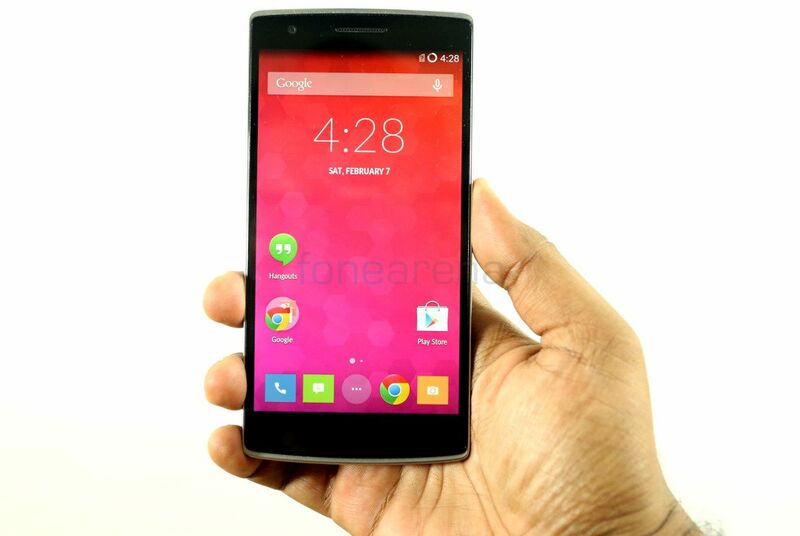 The OnePlus One Cyanogen OS 12 version YNG1TAS2I3 is available for download from the Cyanogen website. You should receive the OTA update soon, which will roll out for users worldwide gradually. You can also download the 20MB OTA zip (via) and flash it manually if you are on build YNG1TAS17L. Cyanogen OS 12.1 update based on Android 5.1 is yet to roll out for the OnePlus One smartphone.